The Gloucestershire Guild will again be partnering with SIT select and the Select Festival in 2017. 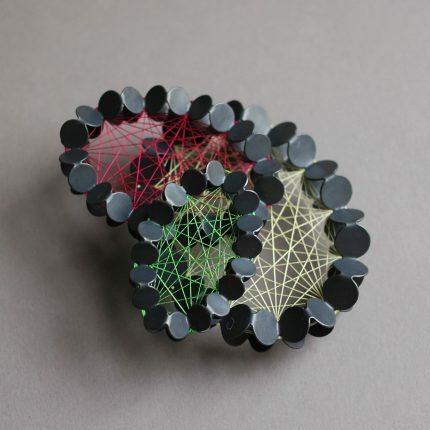 Celebrating contemporary craft the Select Festival opens on 29 April until 28 May. Many Guild members are taking part in the Select Trail that takes place over two weekends in May. 6 & 7 13 & 14 May. Makers will open their studios and organise artist-led exhibitions in venues throughout the Stroud 5 Valleys to Tetbury. Full details can be found in the free Select Festival and Select Trail brochure. Go to www.sitselect.org. Guild members from a variety of disciplines will show in an exhibition, taking the ancient practice of stitch and interpreting it in the modern age. 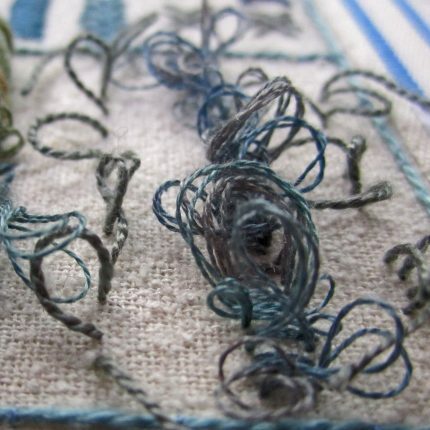 From narrative to function and embellishment, the work will be cross-referencing, complimenting and questioning traditional materials and approaches used in stitch. The Select Festival hosts the lovely film below, featuring Valerie Michael and Neil MacGregor in their Tetbury studio, where they create beautiful and lovingly crafted leather goods. Meet Val and Neil in their Tetbury studio (studio 33) in May during the Select Trail, of which this exhibition is part, where you can buy and commission their work.